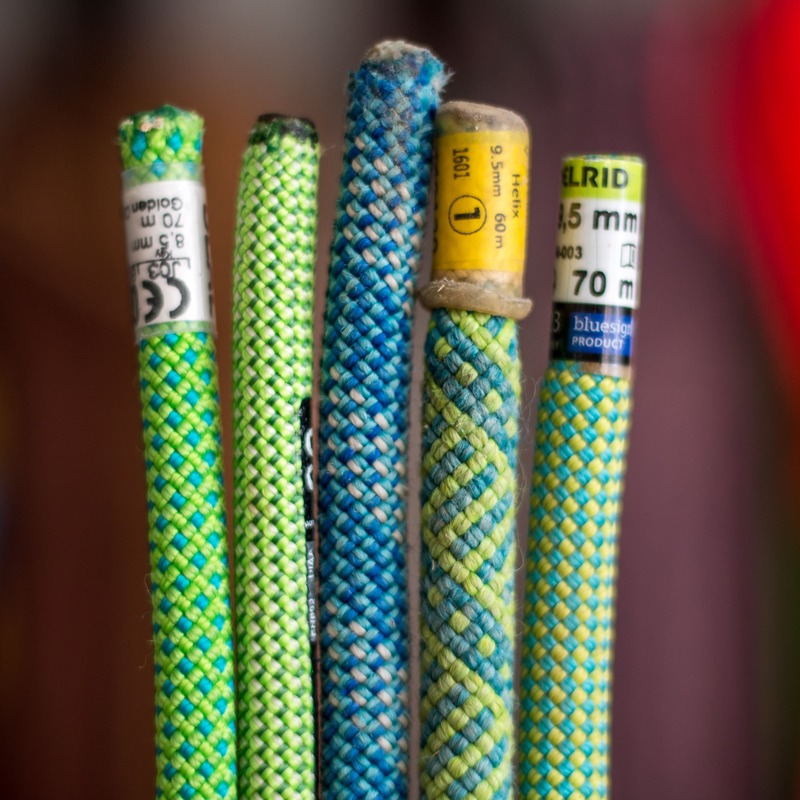 Selecting a climbing rope can be confusing given all the different types and features available. This article focuses on giving you the information you need to select the right rope to climb at your local crag. Springtime cragging in the sun! Skaha BC. 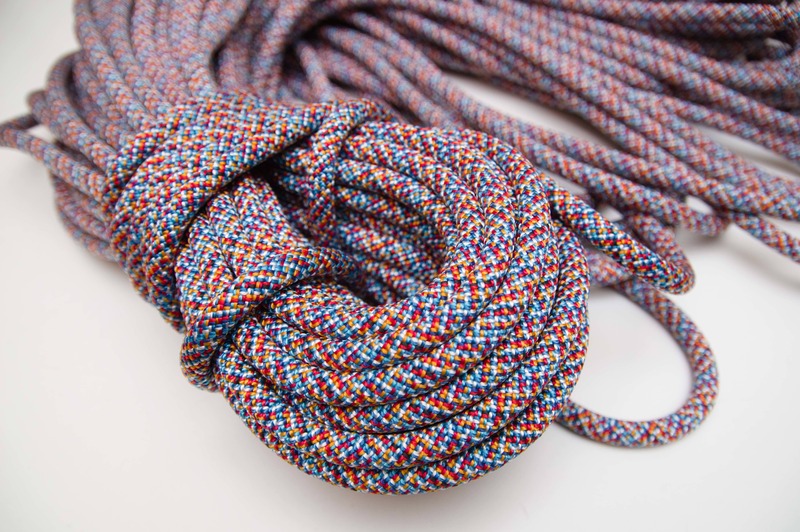 When it comes to buying your first cragging rope to go there are two main factors to consider: Diameter & Length. Simple right! You can ignore options such as type of treatment (ie. Dry ropes), mid-rope pattern changes, etc. as they aren’t necessary for cragging. You can also disregard the majority of the overly technical aspects of rope design such as fall rating, % sheath, etc. 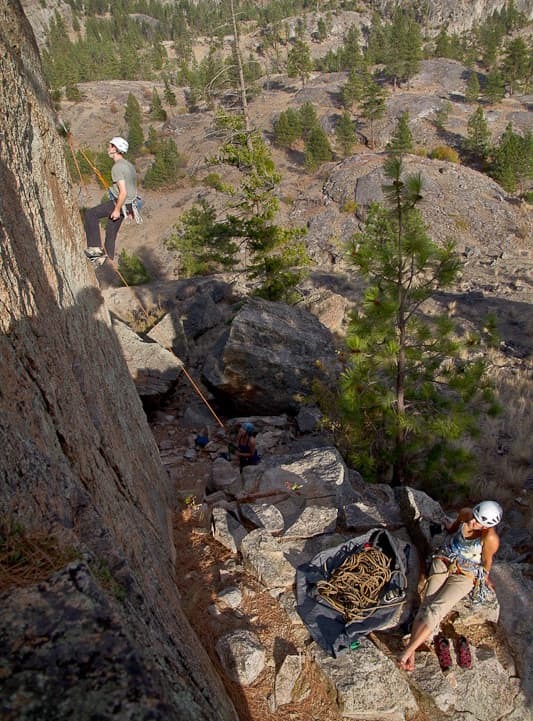 It’s enough that a rope is certified for climbing. 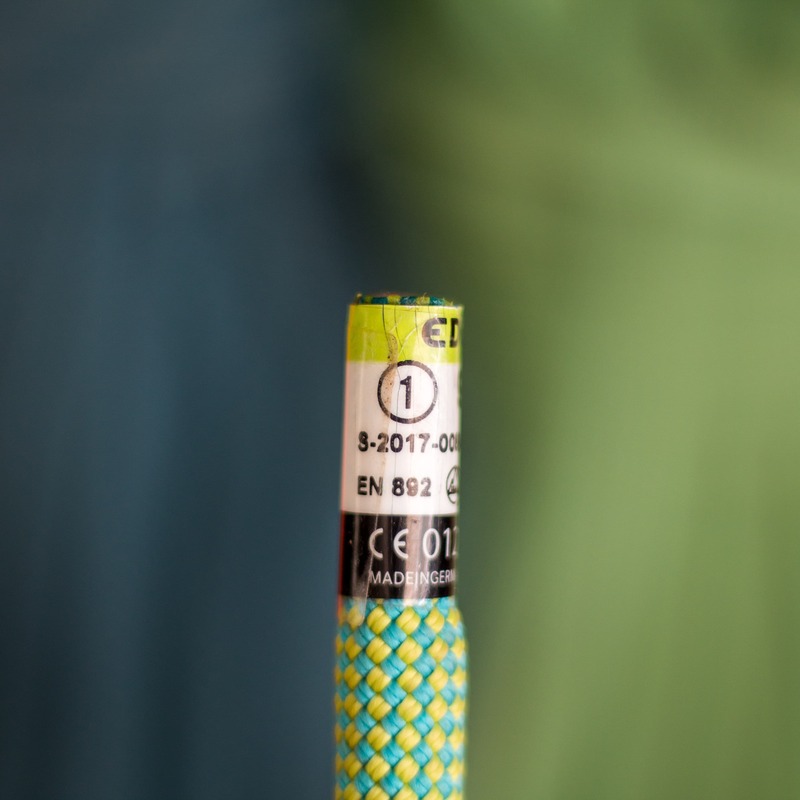 Specifically, it has to be certified as a Single, the number 1 in a circle on the package and end of the rope will indicate this (see photo). The 1 in as circle that marks a Single rope. Let’s start with Rope Diameter. Basically the thicker a rope, the heavier but the more durable it will be. The Goldilocks zone between durability and weight is in the 9.5mm to 9.8mm range in my opinion. 10mm ropes are heavy, difficult to belay with and don’t last that much longer anyway. Skinny low 9mm to mid 8mm ropes are fairly specialized tools for hard sends or alpine climbing and wear noticeably quicker when used to top rope (TR). A variety of climbing ropes. A 8.5mm Beal on the left up to a 9.6mm Edelrid on the right. Looking at the photo makes me thing I must like green ropes! Climbing ropes typically come in 60m & 70m lengths though less common 40m, 50m & 80m options are available. You’ll likely want to start with either a 60 or 70m length. To decide consider where you’ll be climbing and consult the guidebook for that area. Different areas have different route lengths. If in doubt, grab a 70m as you can trim the ends as they wear with use and get a bit more life out of it. Edelrid Boa Eco 9.8: My personal favorite! Soft & Supple the Boa Eco is a Blue Sign certified cragging rope that’s manufactured with the yarn left-over from making other ropes. I hope that you found this article informative. If you have any comments please feel free to shoot me a message. Please note that some of the gear discussed was provided for testing but of course this does not influence us in any way. Stay tuned for the next installment which will be discussing Anchor Kits.